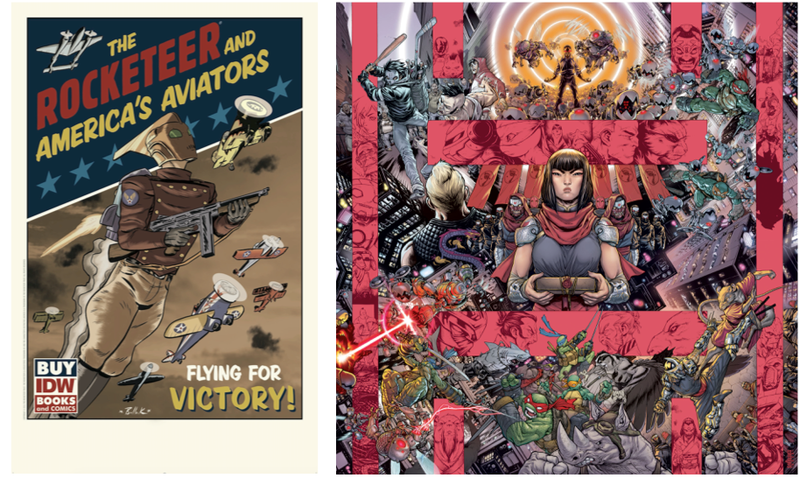 Portfolios, Lithographs, And Comics…Oh My! 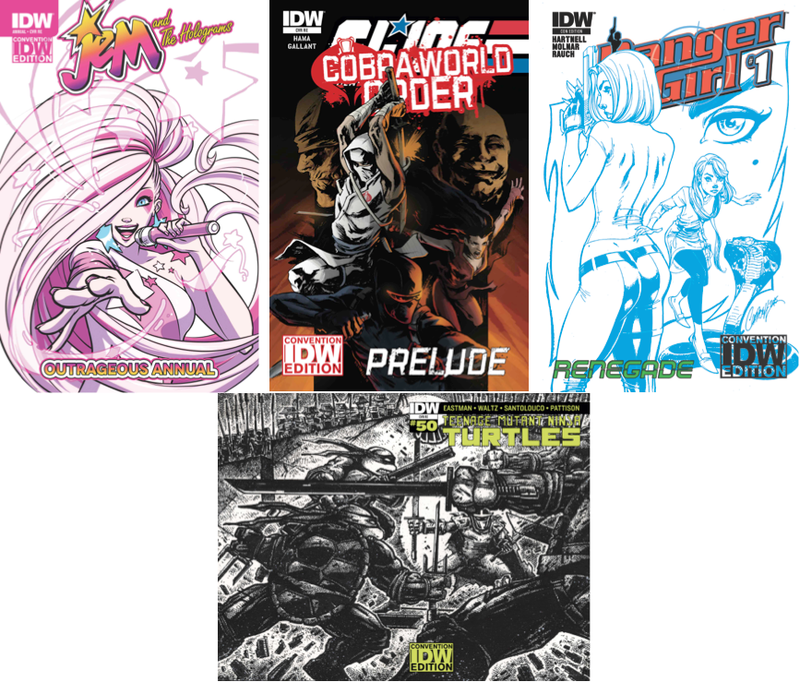 San Diego, CA (September 30, 2015) – IDW Publishing is going back to the Big Apple for New York Comic Con 2015 and is bringing this year’s hottest exclusives with them. With a diverse selection of portfolios, lithographs and comics to pick from, IDW has every fan covered! See you at BOOTH #1844! The legendary G.I. 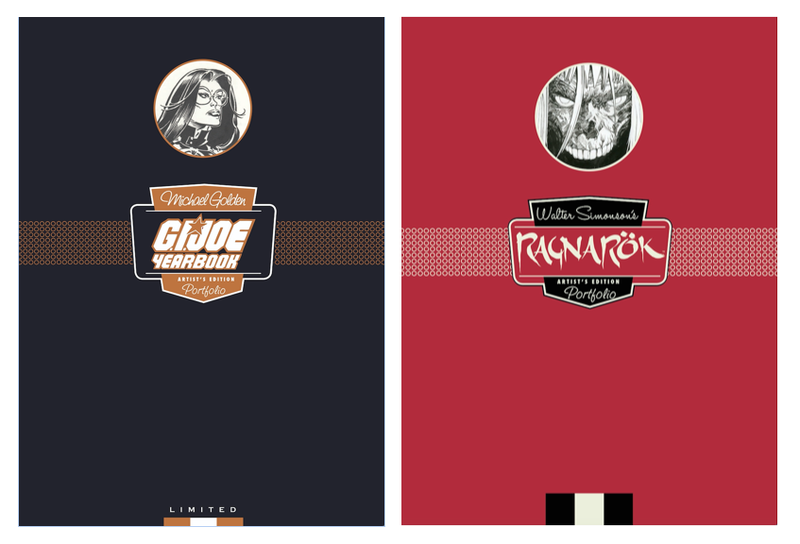 JOE Year Book #2 by Michael Golden, cover and all 22 interior pages, are presented here on individual plates that mimic Golden’s gorgeous original art. As an added bonus, each page is printed twice, one with the original lettering in place, the second version without. As with all Artists’ Edition portfolios, this comes in a handsome hardcover case. Walter Simonson’s Ragnarök Artist’s Edition Portfolio features all 12 covers—main and variants—from the acclaimed writer/artist’s first six-issue story arc. Simonson, an Eisner Award-winning creator of such classics asThor, Alien: The Illustrated Story, Manhunter and Star Slammers, has returned to his love of Norse mythology in the pages of Ragnarök. Like all our AE books and portfolios, each image has been meticulously scanned and reproduced to the same exacting standards that have made Artist’s Editions the most imitated line in comics. The upcoming Rocketeer At War series is celebrated with a classic World War II style propaganda poster of oneDave Bullock’s stylish covers! Measuring 13 x 20 inches, this gorgeous print is suitable for framing! This convention exclusive lithograph measuring 24 x 24 inches features the stunning interconnecting covers of TMNT #45 through to the landmark 50th issue by Mateus Santolouco. MOVIE NIGHT! JEM and her sisters relax with some popcorn and on-demand… but their subconscious minds have other ideas, as their favorite films… shine a spotlight on each HOLOGRAM’s fears! Abbey Chase is renowned across the globe as a brilliant young archeologist and (a bit less renowned) as a member of the super-secret spy organization known as Danger. But what set of circumstances lead Abbey to become who she is—who trained and shaped her into the remarkable person she is? Now, for the first time ever,Danger Girl readers will find out the answer to these questions and more… in Danger Girl: Renegade! The epic conclusion to over four-years worth of storylines! The Turtles stand against Shredder for one final battle that will determine the fate of NYC, and the world, for years to come!